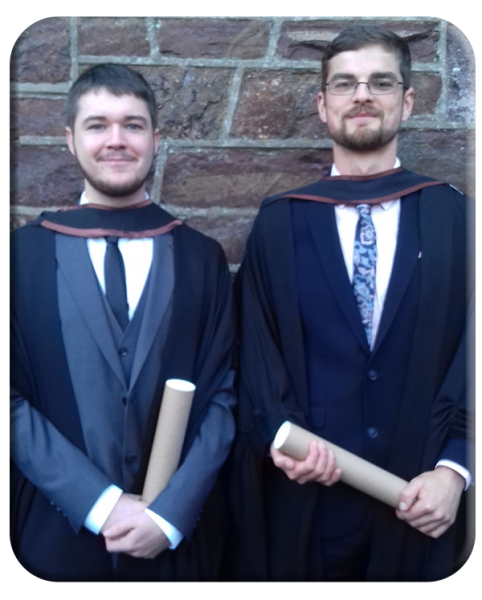 Pictured are John Mullins, son of Bernie and John Mullins, Ballykealey and Sean Whelan, son of Rose and John Whelan, Chapel Street, Ballon who recently were conferred with BA honours degree in Music from Waterford IT. 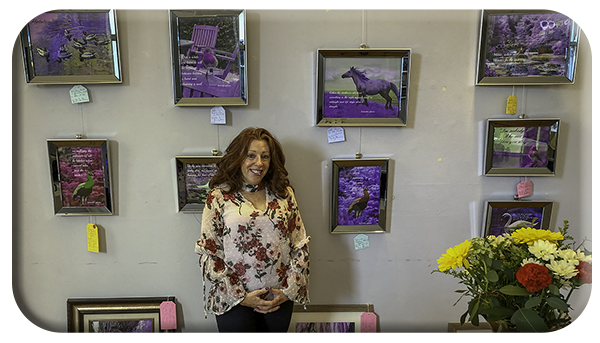 Local lady Bernadette Maher achieved a long cherished dream to hold an exhibition of her work in Carlow Library. The title of her work is “An Alternative Dimension” where she skilfully melds her photographs with a line of poetry. She edits the images to change the colours to suit the mood of her work and it lends itself to the Alternative Dimension. The pictures are all her own and mostly taken locally with Altamont Gardens and Mount Leinster being prominent locations. Full marks for her entrepreneurial approach to an imaginative display. 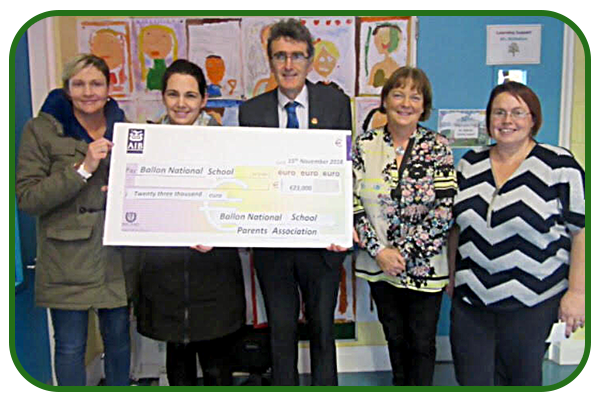 Yesterday, 16/11/18) in Ballon ns the Parents Association presented headmaster Mr Heffernan and deputy Head Mrs Mullins with a cheque for €23,000 the profits from our fundraising extravaganza “Who wants to be a thousandaire “ in April which saw us raise funds to complete a new play area at the back of the school to improve the outdoor facilities for the kids and reduce winter muck and dirt being brought into the school…the work has now been completed and payment has been made..
For most of us running a marathon would be, to say the least, difficult. Cycling from Ballon to Dublin and home again, unthinkable. Doing both the same day, well, totally out of the question. 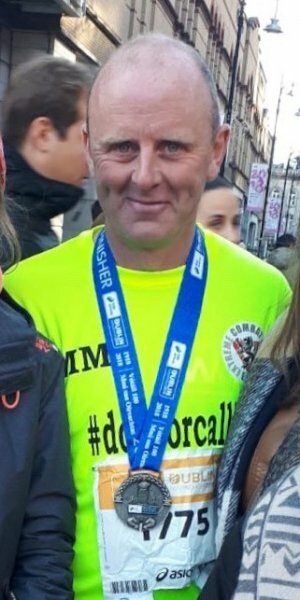 But not so for Michael Moloney, Rathrush who did just that on Sunday 28 October. Maple Lawn:- special prize for being Litter free. The Village received over a thousand euro in prize money in total. 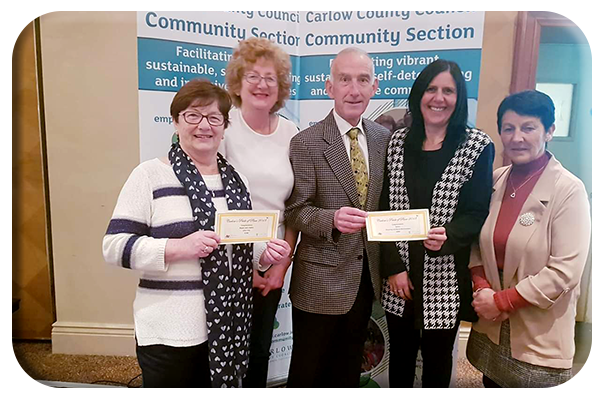 Ballon scooped four awards in this year’s Carlow Pride of Place competition, the results of which were announced at a function held Mount Wolseley Hotel on Wednesday 24 October. Ballon village, overall winners in 2012 and 2014, was placed second behind Clonegal in the community town and village section population 250 to 750. They won €400 for their endeavours. Altogether the Ballon delegation at the prize giving ceremony returned home €1,200 better off and we can rest assured that it will all be ploughed back into village improvements in 2019. Overall it’s just reward for a hard-working Ballon Improvement Group and a handful of individuals who keep the village neat and clean all year round and not just in preparation for one competition or another. 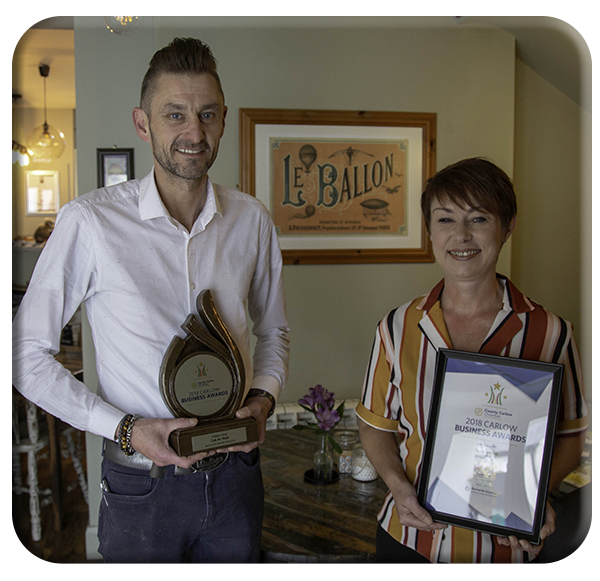 Ballon’s Café de Mode was selected as ‘Carlow’s hidden gem’ at the Carlow Chamber Business Awards held in the George Bernard Shaw Theatre, Visual on Friday 28 September. It’s not the first time the café, opened by Dave and Miriam Lloyd in December 2016, has won an award. In March 2017, four months after opening it scooped the title of Leinster’s best café at the Restaurant Association of Ireland regional finals. Well done and continued success to Dave and Miriam. The café, which is a great asset to the village, opens from 9am to 5pm Tuesday to Saturday and from 10am to 4pm on Sundays and Bank Holidays. It is closed on Mondays. 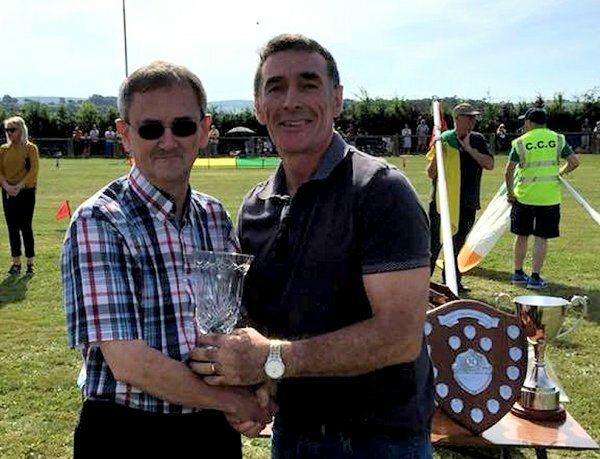 Willie Byrne, Castlegrace was presented with an award on Saturday 23 June 2018 at the County Carlow track and field championship finals for his outstanding contribution to both area and county in Community Games. 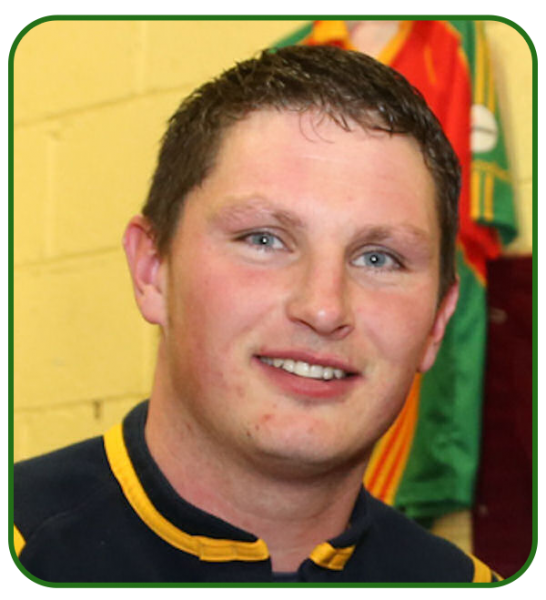 Willie’s involvement is over a very diverse area but his specialty in in the quiz section where he has trained the Ballon/Rathoe teams to numerous county titles and with the teams then going on to perform very well at national level. He is pictured here accepting his award from county chairman, Paul Doogue. Rathoe National School were last week crowned Spar FAI 5-a-side Girls Leinster Champions at the MDL Grounds in Navan Co. Meath. Having come through the Carlow County finals, they then defeated teams from Wexford and Wicklow in the South Leinsters, before overcoming teams from Dublin, Meath and Kilkenny in the Leinster finals. Irish manager Martin O’Neill was on hand to present them with their cup and medals. 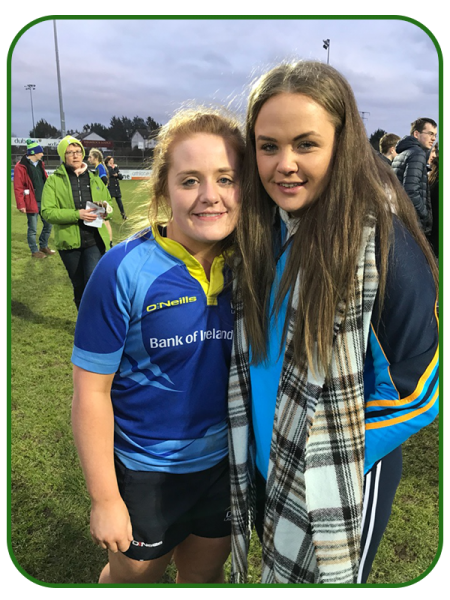 The girls will now proudly represent both Rathoe and Leinster on Wednesday 30 May at the Aviva Stadium when they take on teams from the other three provinces. Pupils from Rathoe will be travelling in numbers on the day for the event and anyone wishing to attend can purchase tickets on the day at the stadium (€5 per adult). Well done to the girls on this incredible achievement. Squad: Ciara Kelly, Genevieve Sherlock, Lorna O Shea, Aoife Smithers, Ella Meyler and Aoife Kelly. 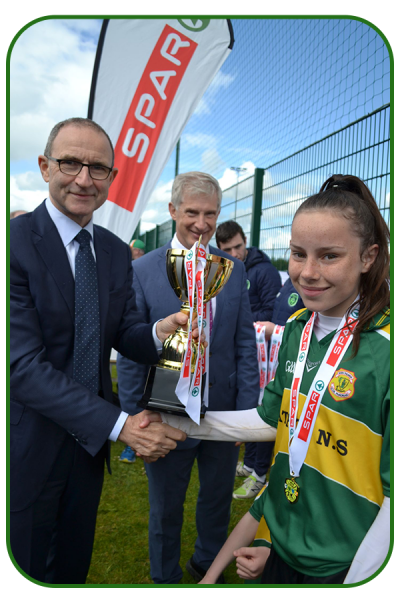 Martin O’Neill presenting the Leinster Cup to Aoife Kelly, Rathoe NS captain. Eddie (Ned) Kelly has been the popular postman in the Ballon area for more than twenty years so when he appeared on RTE’s Winning Streak on Saturday 21 April he carried the best wishes of the community. There was genuine delight in the area when Ned walked away with prizes worth €33K in total including a Toyota Corolla worth €25K. Ned, from Ballyhackett, Tullow, bought his lucky ticket in McAssey’s Supermarket in Ballon. Meanwhile Cuchulainn Rounders Club player Matty Dowling was on the Leinster panel in the Inter-Provincial championship on Sunday 25 March in Athlone where Leinster became champions for 2018. 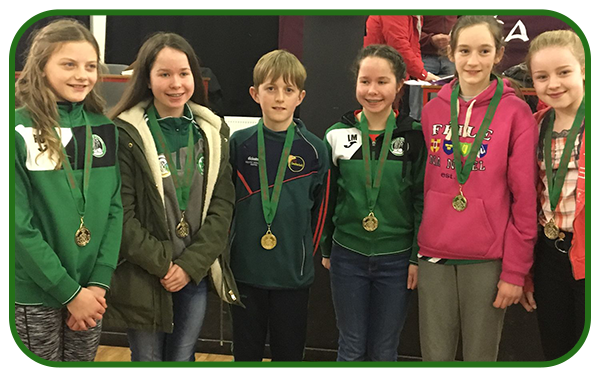 The victorious Ballon/Rathoe team in the U14 Carlow Community Games table quiz- (l-r); Ruth O’Byrne, Edel Morrissey, Ben O’Gorman, Roisin Morrissey, Roisin Connolly and Emer Deacon. 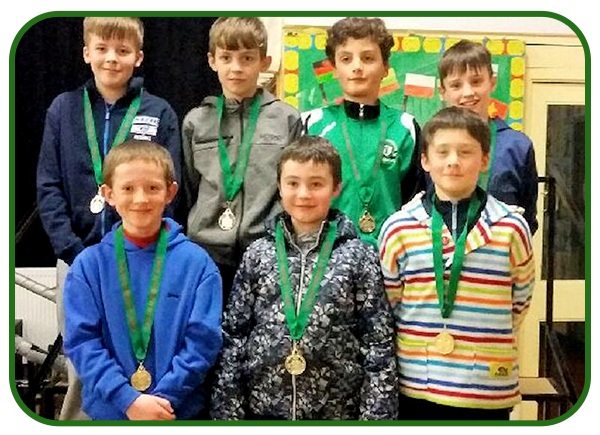 The Ballon/Rathoe U13 chess team, winners of the Carlow Community Games championship- Back (l-r); Eoin Doyle, Brian Maher, James Hogan and Danny Gibson. Front (l-r); James McDermott-Walsh, Michael Butler and Dara Connolly. Edel Kearney, Raheen-Killane, Ballon has published her first spiritual self-help book ‘From Wreck to Wonderful Wholeness’. In the book Edel shares her inspirational personal journey, detailing how she over-came her demons and found fulfilment, happiness and wholeness by harnessing the energies of mind, body and especially soul. Edel is an alumnus of Carlow College, and has an MA in Applied Christian Spirituality from Dublin City University and currently lives in Lourdes, France. Published in the US by Resource Publications, copies of her book can currently be purchased on-line at Amazon.com and from Eason’s Book shop, Fair Green Shopping Centre, Carlow. 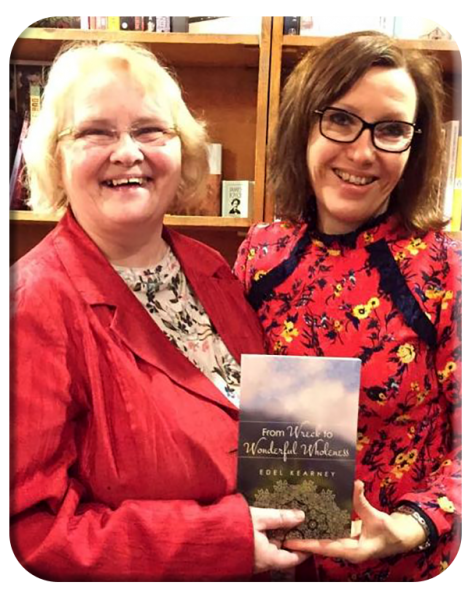 Our picture shows Edel (right) with fellow author Bernadette Flanagan, at the launch of ‘From Wreck to Wonderful Wholeness’, in the Winding Stair bookshop, Dublin on 6 January.